The devastating consequences of human superiority over nature. Story here. 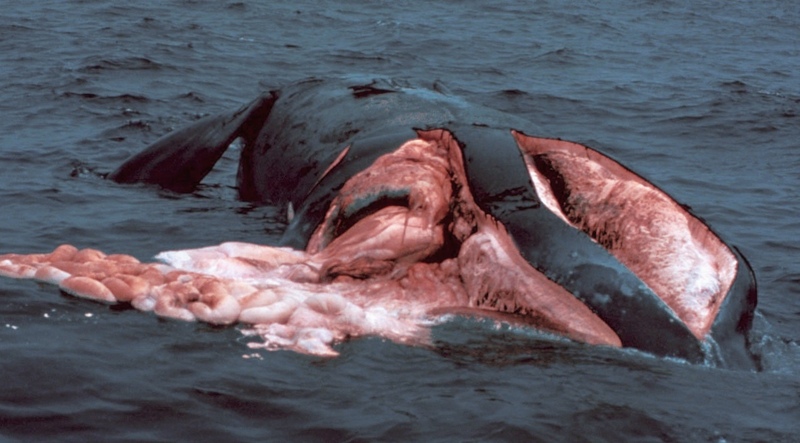 The remains of a rare northern right whale run over by a ship. NOAA National Marine Sanctuaries photo.